Inspired Community Enterprise Trust LTD (ICET) was set up in November 2011 with the aim of providing employment and training opportunities and wider community relationships and citizenship opportunities for young people with additional support needs. ICET, a non-profit distributing social enterprise company limited by guarantee, acquired the use of the former Townhead Church building from Dumfries and Galloway Council. Following extensive refurbishment, the building includes a large contemporary community cafe, kitchen area and flexible training / meeting rooms opened on July 31st 2015. The Usual Place is becoming a much loved place for the wider community to meet friends or simply enjoy a meal or a coffee in a truly unique venue. And, by supporting this social enterprise venture, local people and visitors to Dumfries are also helping to provide valuable work experience and training opportunities for young people aged between 16 to 26 who require additional support to reach their full potential. Training will include SVQ Level 1 in Hospitality, Food Hygiene and other accredited employability qualifications . This innovative training project will help young people improve their confidence, gain transferable skills in a real work environment and move into paid employment within mainstream workplaces. ICET is governed by a Board of Directors, all of whom are volunteers and who are also ‘hands on’ being involved in The Usual Place. The whole concept of The Usual Place came from Heather Hall and Linda Whitelaw who worked tirelessly to bring it to life. Both Heather and Linda have a background in social care and support and have worked with people from all walks of life. Form more information, call us on 01387 253485. 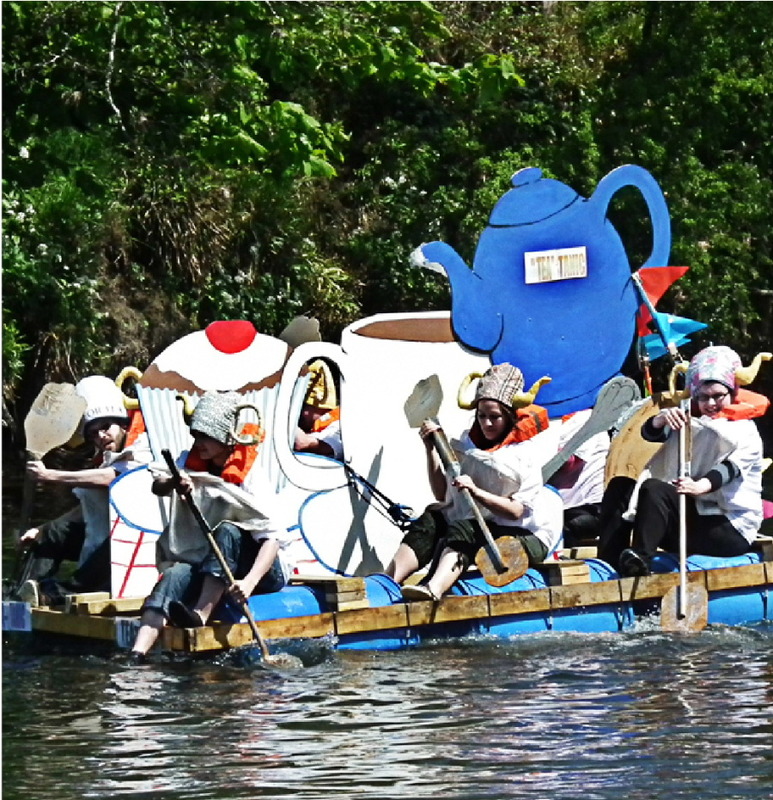 A team effort at Dumfries Raft Race.